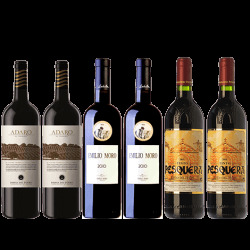 We offer a selection of wines of the " Rioja Alavesa ". Wines with character of old vines; Traditional producers looking for a model more quality than quantity. In this area the climate and soil characteristics peculiar utter the fruit a special quality that is reflected in the choice of two young wines and four parenting . Crianza: 12 meses en barrica bordelesa de roble francés mas 10 meses en botella. Crianza: 6 meses en barrica de roble francés y americano. Crianza: 12 meses en barricas de roble americano. 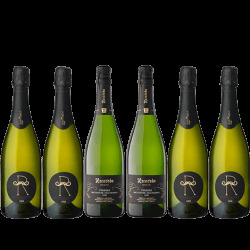 All a referent of biodynamic agriculture in the cava world (Recaredo). Next to a family winery of ecological elaboration with rational productions and respectful with the environment (Descregut). Designed to enjoy and share. 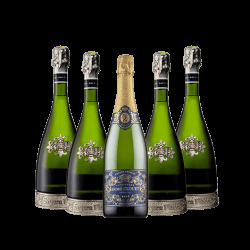 Sparkling Wines selection for large celebrations or special moments. Ideal to give or taste in the best company. A safe bet for consumers who know what they want. Fresh, soft, fruity, aromatic, glyceric, with a bitter touch and excellent acidity. We present a case of Verdejo with the seal of the DO Rueda. 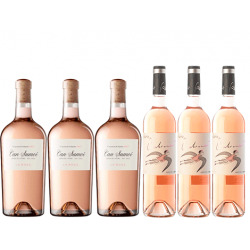 6 recognized Albariño wine cellars from three different sub-areas of the DO Rias Baixas . "A safe gift for lovers of this renowned variety." Fresh, light, fruity, floral taste something citrus and less tannic than their predecessors roughness . Pink century, although we seem fragile are elegant , complex and harmonize perfectly with Mediterranean cuisine. 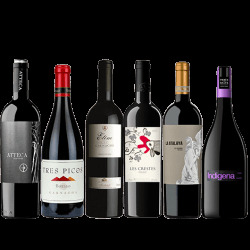 In this selection we propose two wines from different wine regions, Jumilla and Almansa; produced by Bodegas Juan Gil Family. Both are among the best red wines in the world for its great value . A very personal project of cousins ​​who have joined with their experiences in Bordeaux prioratinas roots. A French name for wines of Porrera (Priorat), with labels reminiscent of old posters Folies Bergère. 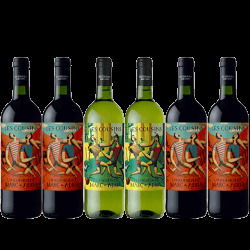 White wine made from red grapes (Antagonique) and a red wine made ​​to enjoy (Inconcient) . We are sure that , if not yet know, will surprise !! Grenache is fashionable !! . 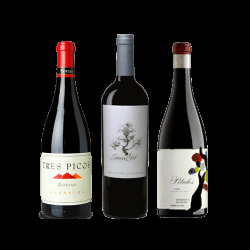 We offer a selection of Grenache from different D.O. , where you will see the main characteristics of this variety : fruity , tasty, with personality , good body and something spicy . In short : Versatile and glamorous !!! 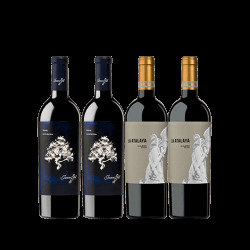 To not go wrong and succeed in the election, we present this essential pack for your wine cellar; the best value for money in all, three proposals from different wine regions that will please the most demanding palates. 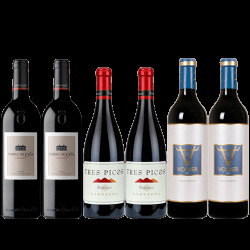 Make powerful your wine cellar at the best price ! Who does not know Robert McDowell Parker? In this selection you can buy three of his findings at the best price . Ideal for tastings of 4 peoples, less risk of oxidation and better temperature retention . Used in higher quality wines . This time we present three wines of the DO Jumilla, Campo de Borja and Bierzo. For large celebrations and enjoy double! 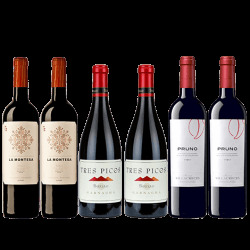 Born in the Duero River basin , created with dedication, we present three three wines made ​​with ink prestigious wineries in the country , better known as Tempranillo . Bodied red wines and strong character due to the peculiar climatic conditions and terrain. 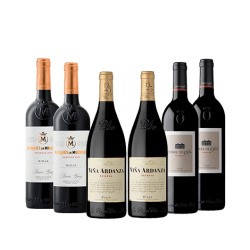 In this selection we present 6 Reserve wines of three wine cellars "top" of the Rioja. A safe choice for special occasions ... !! !